Surprise, there's a new Team Sonic Racing game! 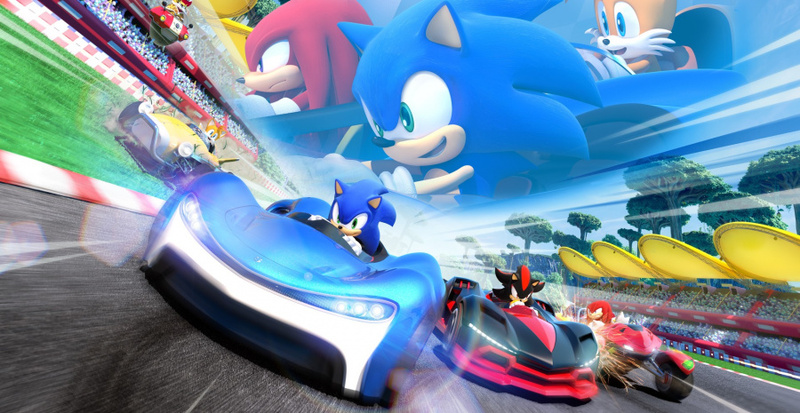 Perhaps one of the worst kept secrets in gaming this year has been a new Sonic the Hedgehog racer from Sumo Digital, and after toymakers letting slip secret details and Walmart basically all-out revealing it, SEGA has finally officially announced Team Sonic Racing. Developed by Sumo Digital. Er. Surprise? 😬 Yes, the rumours are true. We're beyond excited to finally announce that we've been working on the [Top Secret] Team Sonic Racing with our friends at @SEGA! damn you, Wal-Mart for leaking these games! Sumo Digital = Day 1 for yours truly. Useless Shiryu trivia: OutRun 2006: Coast to Coast is my resident PSP UMD. I say that I'm team Mario Kart when it comes to this type of racing...I might give this a chance...if I'm bored. At least they have humour bout it. I'll probably get it, since I loved Transformed. Curious to see the character roster. If they are going to ditch the expanded Sega characters I hope they at least add more Sonic characters. If the items don't make every race feel like luck of the draw ala Mario kart 8, it could be great. I'll try it... but it will probably be impossible to like the feel of any other kart racer after MK8. Underrated racing games. I think I played and enjoyed Transformed more than Mario Kart 8. 15 characters from the Sonic universe? That’s 8 on the top of my head. What other ones can you guys think of? @Yasume Big the Cat of course! Happy its Sumo Digital! Sad its Sonic universe only..... I was hoping for Sega All stars. I'm not into Sonic enough to care or even recognize probably half the locations and characters. Noodle better be invited or I riot. @siouxrunner15 I know this is a joke, but if you're talking about individual opinion-wise, probably; however if you're talking about sales-wise, HIGHLY DOUBTFUL. Again, don't get me wrong because I LOVE the Sonic Racing games. Oh well despite the fact that the game got leaked, from the info we've got it looks like it will be a really solid racing gaming so I can't wait to try it out! I love that this game will include an adventure mode, which is something that I absolutely loved in Diddy Kong Racing and wished that Mario Kart games incorporated. Without the other Sega characters I don't really have a real reason to get this. Loved Transformed on the Wii u. Just better have have Cream the Rabbit or won't be happy. 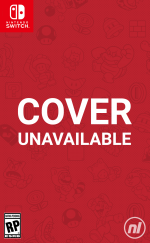 @Broosh Mario Kart 8 is the least luck based game in the series. It actually requires skill, especially in 200cc. The only surprise is that it's taken so long. Transformed is up there with Diddy Kong Racing and Crash Team Racing as one of the best non-MK Kart games I've ever played. Not interested, when will SEGA stop trying to copy Mario Kart with Sonic Kart, just make a Racing Platformer game like Sonic R, sure that game had control issues but for TT's first full 3D game (and being rushed ) it had some great ideas for Sonic's take on a racing game. And now they remove the SEGA All stars, the only thing that made the last two games interesting, this game has nothing other then a Mario Kart rip off. SEGA better have something else then this for the rest of the year. You can only replay Sonic Mania for so long. Probably has a chance to be an Mario Kart alternative for us, if we are bored. But I doubt it will replace MK. All Stars Transformed didn´t even come close in our opinion. @Broosh I've always loved the sonic racing games because they don't feel 'cheap' when it comes to losing races! @AlternateButtons I can agree with that, 200cc is almost entirely skill for sure even the AI can barely manage it. More so the lower difficulties where if you get hit by an item you had no way of avoiding, suddenly you lose your spot the rest of the race. I'm always down for a racing game! @Anti-Matter So you commented because? Hope it sells far apart from the rumored Star Fox racing game. Would be a shame if the two racing games got in the way of each other. The sonic only characters puts me off so I'll give this a pass but I hope that those that want it enjoy it. I have the first one and think it is one of the most over-rated racing games I've ever played. I hope this one is worlds better. Sonic only characters is off putting and a bit of a step backwards. I’ll await reviews. Looking forward to it. Unfortunately it will be missing my favourite thing about transformed on Wii U - local 2 player with 2 screens. I think it'd be awesome to race as a Chao and have it's different variations as an option! @Spectra What? We didn't even see any footage. Actually, there are screenshots, but since this is a racing game, we have to see it in motion. Definitely sounds like a step backwards from Transformed. That game was great. If it was a direct sequel to that I'd be on board. I'd have liked a "Sonic & Super Mario All Stars Racing" update to Sonic & All Stars Racing. So I guess it wasnt called Sonic Team Racing because a racer where you play as the staff from Sonic Team would be a little odd? S-so... that's a no on Alex Kidd? "Surprise, there's a new Team Sonic Racing game!" @Bass_X0 I honestly thought it would be that.... gutted... with Mario and sonic games already made and then the all star approach to last one - it would have been great. I am very happy to see Sumo Digital is making this one!! I really wanting an update to Transformed, but I hope this is just as good. After Sonic Racing Transformed, I have pretty high expectations for this! @justin233 For years, I thought that Big said "I feel dumb" whenever you'd fail his fishing levels. I'm really looking forward to playing this but I do hope Sumo can up there game when it comes to fps on consoles. I LOVE that game. The PSP port is very competent too. Would prefer SEGA make a new OutRun game over Sonic to be honest, but I'll take what I can get. I'm not a fan of SEGA racing games. I'm sold. I'll miss playing as other Sega characters like in the older entries but the game still looks like a natural successor to Transformed. Car designs look similar and Sumo Digital is still developing it. There's an adventure mode and new "team" mechanic to boot. Should be awesome! So no Danica Patrick then? Damn. In all seriousness though the fact that Sumo are behind this makes me very interested. Transformed was an excellent game. Such a lazy title, should had called it Sonic Daytona Racer and I would totally be okay with that. It's almost like they went to Sonic Team and said we want to make a Sonic racing game any idea for a good title name, oh yeah just name it after us but flip around the name and add racing at the end of it. Well hopefully it's decent. Huzzah! It feels like ages since there’s been an adventure mode in a mascot kart racing game. ...Maybe now the last one will go on sale on Steam. I'm really not interested in this new one, though. Cooperation? Teamwork? Screw that. I just want to win. @HobbitGamer No offense, but I still don't see how your first response applies to my comment. It has nothing to do with the name being shorter. I suppose you were trying to make a joke or something. Edit: Looks like the retail price in the US is only $39.99! Sweet! Preordered! Team racing and an adventure mode? Sign me up! I'm a bit disappointed with only having 15 characters since this is a series with quite the colorful cast, but I'm still pretty excited! I really see no reason to play this over Mario Kart 8. @LArachelDisciple Gotta save them for the paid DLC! @Sabruka They tried that and it bombed on the Saturn forever leaving a sour taste in the mouths of gamers. I don't get all the people saying they aren't interested in this just because Mario Kart 8 exists. Transformed was right up there with Mario Kart 8 and in same ways was better. They'll be missing out. Looks great, I loved Sonic All-Star Racing Transformed on Wii U but the online was dead from the start really hard to find anyone online on the Wii U version. So I will more than likely be picking this game up for Ps4 or Xbox one so I can actually enjoy the online play this time around instead of just single player and some local racing. @Nomad Co-signed. The only reason I stopped playing it on the Wii U was because of the bugs. People need to remember that it was a launch game for the Wii U, launch games are hardly ever among a system’s finest (Exceptions of course being SMW, SM64 and BOTW. Don’t like the last one, but I know others disagree). I played it way more than MK8, so enjoyable with its incredibly varied roster (no Pink Gold Peach here!) and many different kinds of missions. Plus the hornets are a much better deal than the blue shell destroying item (I forget what it’s called. That’s how much I played MK8! ), which was never around when you needed it. @Yasume Everybody's favorite, Big the Caaaaat. What I said several times already: making it about Sonic universe means less characters (versus 30-ish in Racing Transformed), and less Sega lore. Anyway, Sonic R was a good game on Saturn and there the characters (10 once you had them all unlocked) ran instead of driving (well, Robotnik flew his ship). Considering the similar genre, I wonder if they'll bring back one of more of the "Riders" characters. Anyway, I would've preferred a new Sega All-Stars racing game (with a return of the true transformation mechanic from "Transformed"), but this also looks good. @Anti-Matter Then why did you comment? The Community Rules say "Do not post - unless you have something useful to say; Only post when you have something meaningful to say or something that will contribute to the discussion." Well....Transformed was very good and Sumo are on board so that's a plus. Just focusing on the Sonic characters is uninspiring though, a real step backwards. We'll see.